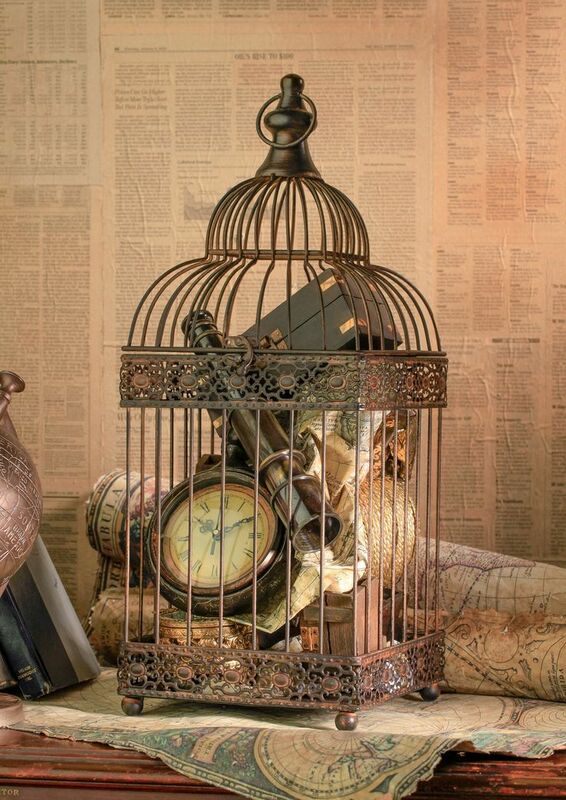 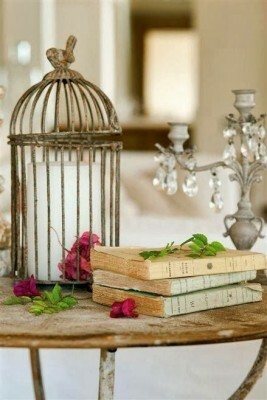 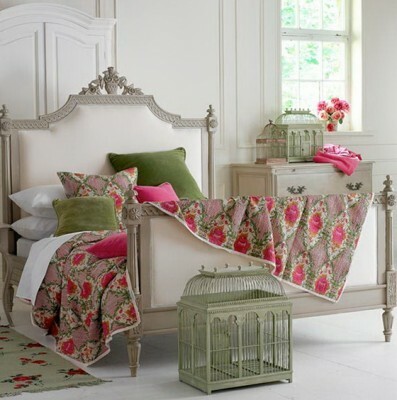 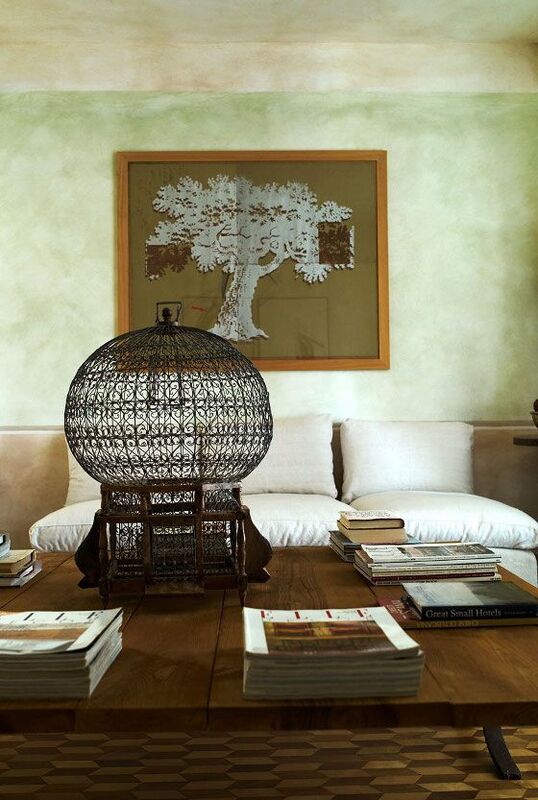 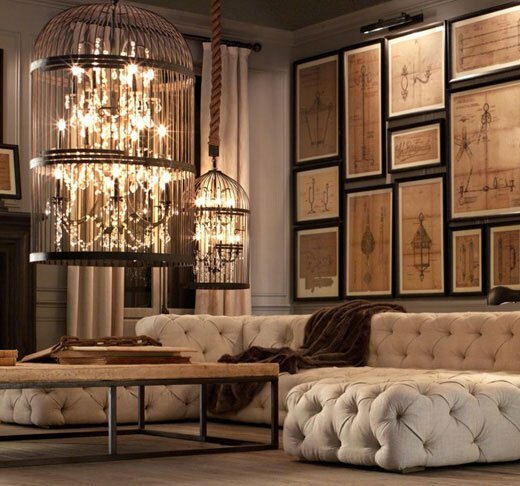 Add instant charm to your home by decorating with vintage bird cages. 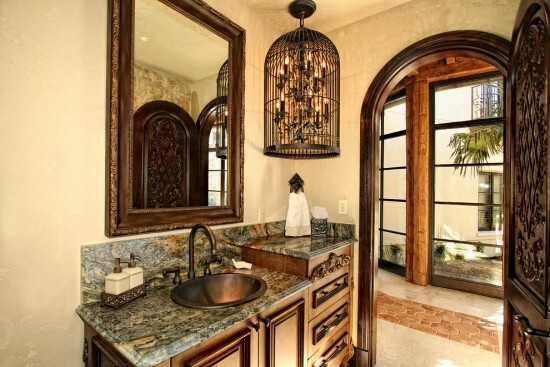 There are numerous ways in which to repurpose antique or decorate with new reproduction bird cages. 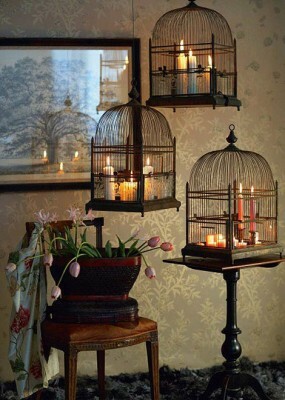 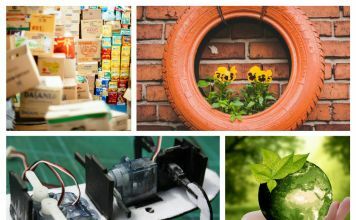 From holding mementoes, candles and flowers to using them as planters and table decorations, decorating with vintage bird cages is an easy way to add character. Vintage bird cages make excellent candleholders. Use an assortment of votive candles or pillar candles to create a display for the living room or as part of a centerpiece for the dining room table. 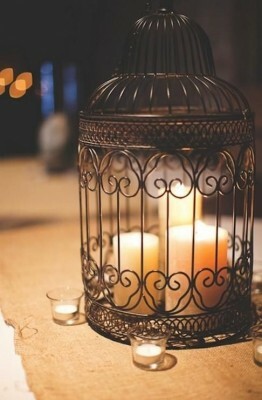 They can be used as lanterns outdoors for parties or family gatherings. 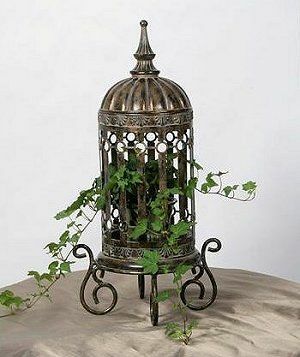 Fill vintage bird cages with moss and place plants inside or just use them as decorative pot holders for ferns and ivy. Hang them at the window or display them around the home. 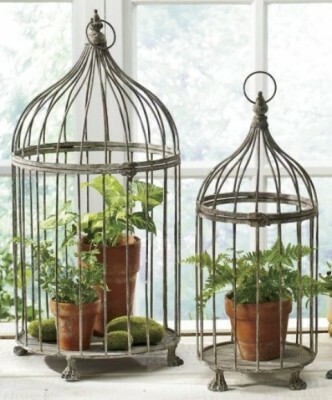 In the summer, create an outdoor oasis by hanging plant-filled bird cages on the patio. 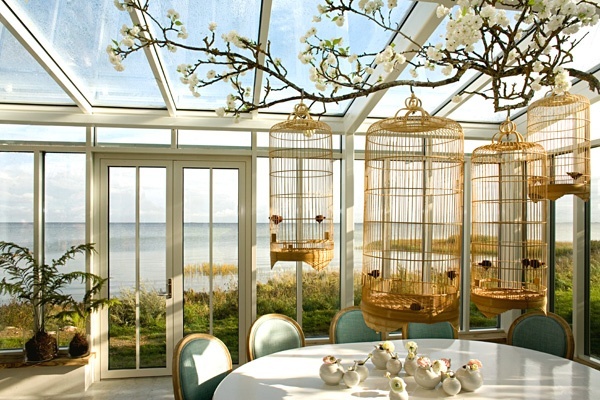 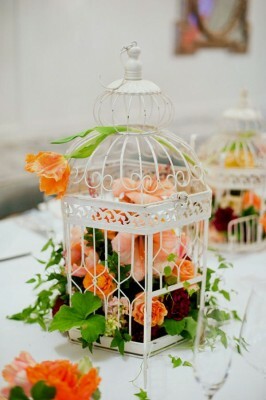 Arrange flowers in bird cages to spruce up a room or to use as decorations at the table. 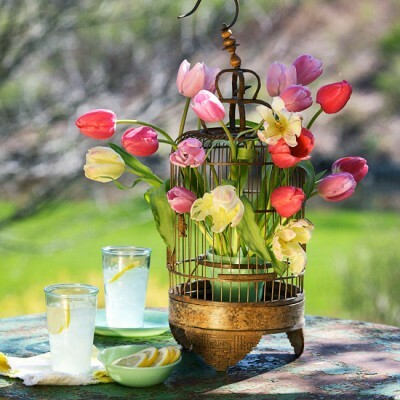 Use a container on the bottom of the cage with damp florists’ oasis to keep flowers fresh. 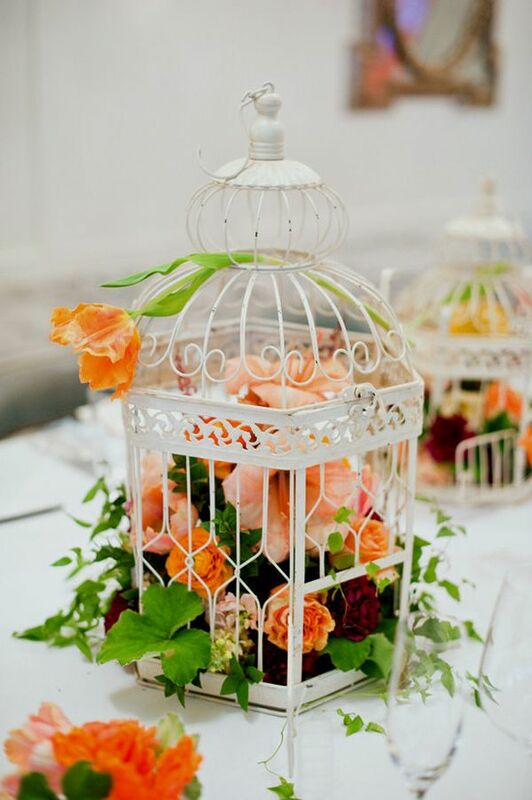 Gently pull blooms through the slats for a full look. 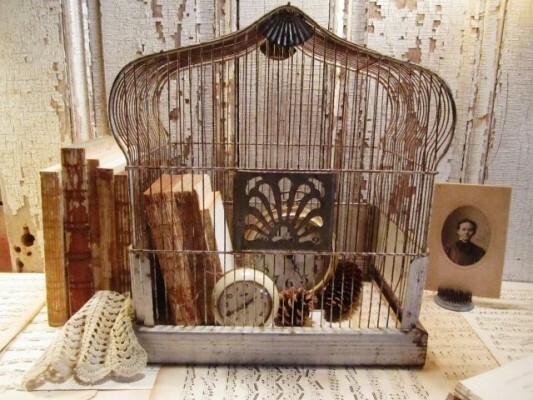 Display mementoes such as old photographs, letters and small treasures in bird cages. Stack antique books inside for a unique arrangement. 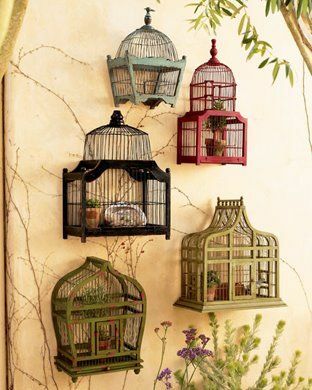 Display different styles and sizes of bird cages by themselves for a unique accent. 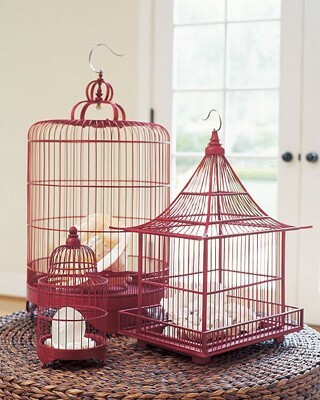 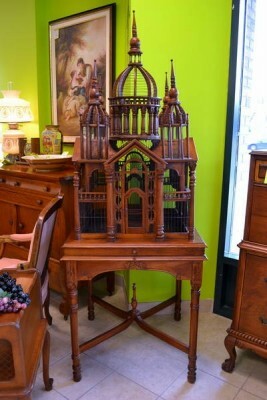 Large Victorian style bird cages can serve as accent pieces by themselves. 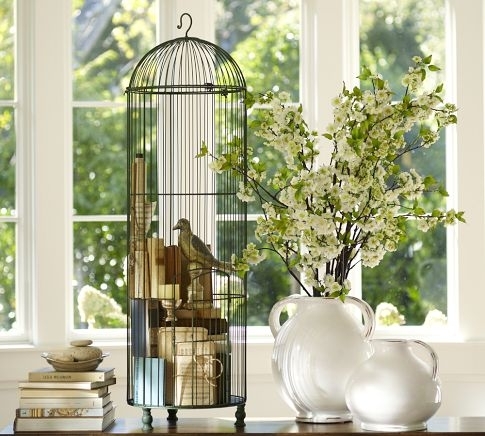 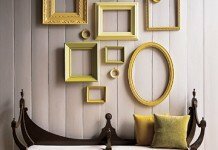 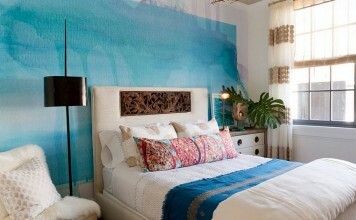 Place them in the corner of a room or next to the fireplace for a statement piece. 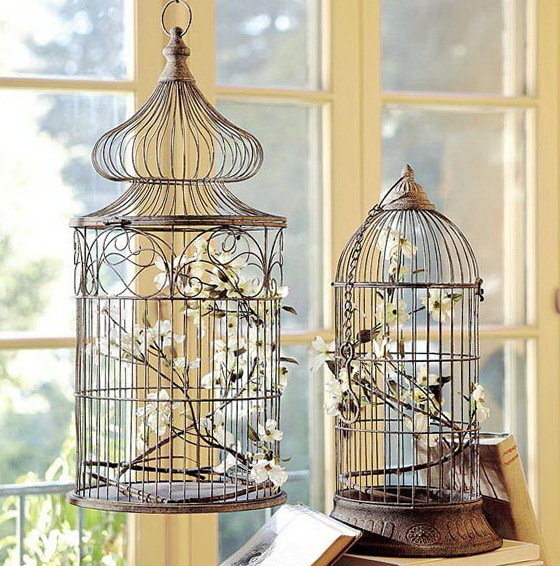 Wire vintage bird cages for use as ceiling fixtures, floor or table lamps. 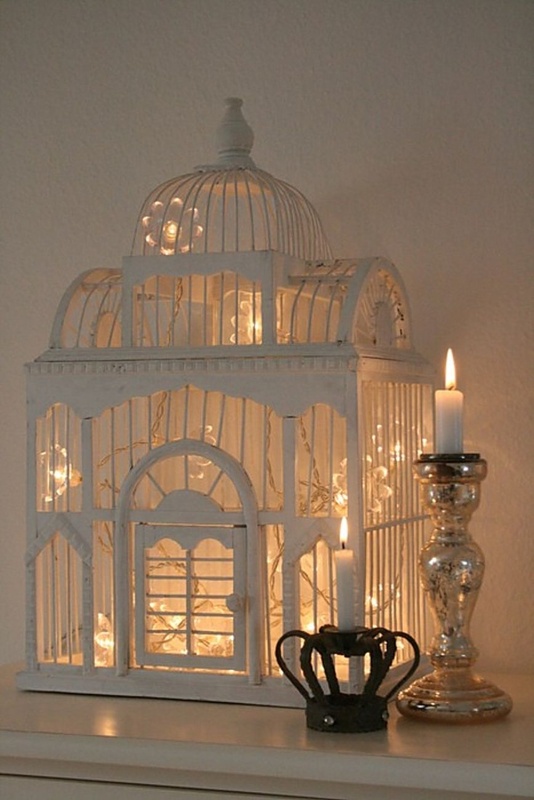 You can also place a string of lights inside and use as a festive lamp. 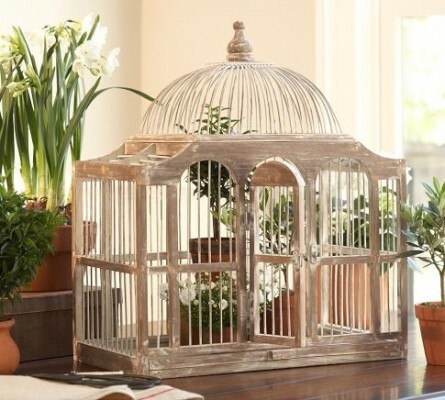 Decorating with vintage bird cages is a unique way to add a personal and charming accent to the home or to an outdoor setting. 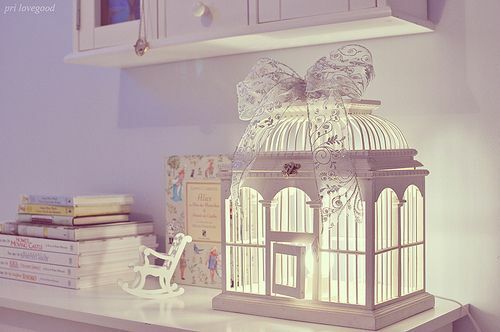 Let your creativity fly and see what hatches.